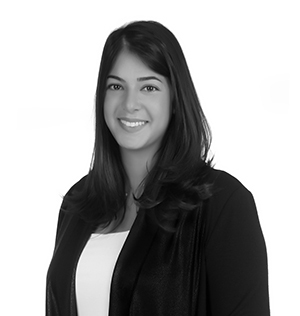 Dana Al Shawwa is an Associate and part of Al Tamimi & Company’s Litigation practice in Jordan. She is a qualified Jordanian Lawyer and has particular interest in dispute resolution. Dana has trial experience and pre-trial preparation skills, including but not limited to drafting various court statements and memos, filing lawsuits, witness questioning and negotiating settlements. Dana is mainly focused on claims involving disputes in insurance, maritime, employment and general contractual disputes. Prior to joining Al Tamimi, Dana mainly focused on compliance, regulatory matters and corporate set up she regularly advised clients on the options for setting up catering their specific requirements and on feasibility and viability of Jordan entry strategy. Dana also advised on employment and corporate law matters. Al Bader Dibaj Production, a Jordanian domiciled corporation for the creation and design of crystal products with Swarovski as a sole shareholder on its liquidation project involving all local governmental department clearances and employee terminations. Essentra PLC, (formerly Filtrona) a global provider of filters and related solutions to the tobacco industry, on a project for resolving and rectifying customs procedure followed in the process of importing raw materials to be used in manufacturing process resulting in profound reduction of financial exposure. A real estate development company, on employment legal due diligence for an acquisition project and flagging issues relating to unenforceability of promise-to-sell contracts of real property. Wilhelmsen Ships Service, a Norwegian maritime service provider for vessels worldwide, on the application and procurement of a vessel arrest order before competent courts resulting in payment of client claimed dues.